Sirin, S. R. (2017). 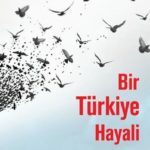 A Dream for Turkey (Bir Turkiye Hayali). Istanbul, Turkey: Dogan Kitap. (Turkish). (8th Ed.). Istanbul, Turkey: Dogan Kitap. (Turkish). Sirin, S. R. (2015). Turkey at crossroad: Freedom or misery. 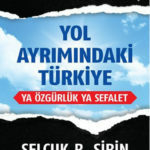 (Yol Ayrimindaki Turkiye: Ya Ozgurluk Ya Sefalet). (16th Ed.). Istanbul, Turkey: Dogan Kitap. (Turkish). 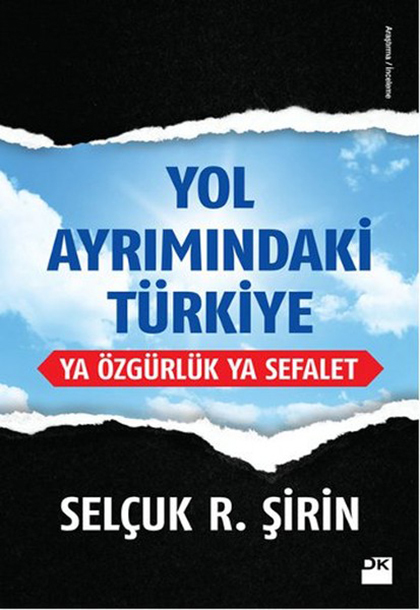 Sirin, S. R. (2013). 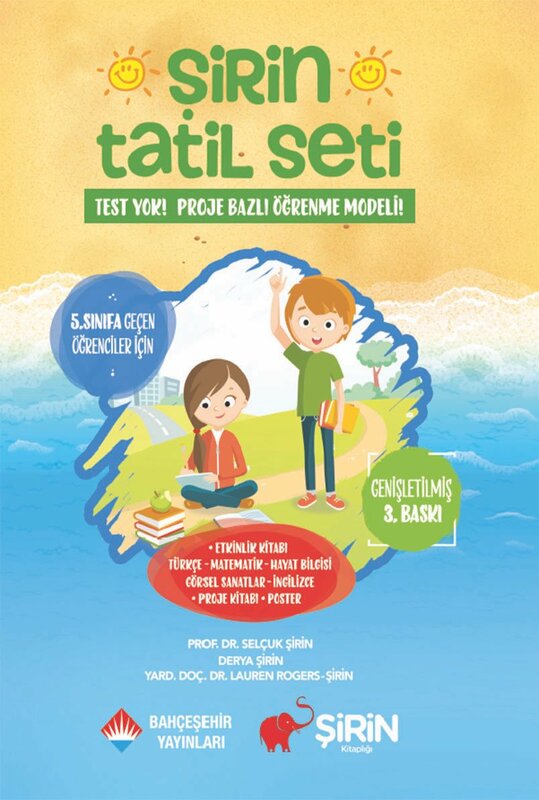 School Readiness Set (Bahcesehir Okula Hazırlanıyorum Seti). 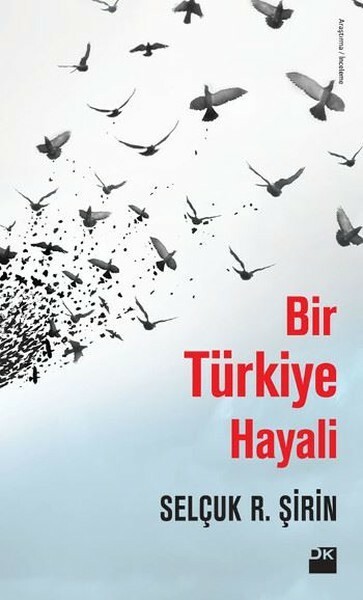 Istanbul, Turkey: Bahcesehir (Printed in Turkish and Arabic editions). Sirin, S. R. & Aber, J. L. (2018). Increasing understanding for Syrian refugee children with empirical evidence. Vulnerable Children and Youth Studies, 13(2). 7-18. 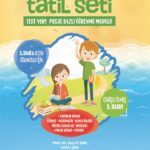 Sirin, S. R., Plass, J. L. Homer, B. D. Vatanartiran, S., & Tsai, T. (2018). Digital game-based education for Syrian refugee children: Project Hope. Vulnerable Children and Youth Studies, 13(2). 1-6. Oppedal, B., Ozer, S., & Sirin, S. R. (2018). Traumatic events, social support and depression: Syrian refugee children in Turkish camps. Vulnerable Children and Youth Studies, 13(2). 46-59. Ozer, S., Oppedal, B., Sirin, S. R., & Ergun, G. (2018). Children facing war: Their understandings of war and peace. Vulnerable Children and Youth Studies, 13(2), 60-71. Keles, S., Idsøe, T., Friborg, O., Sirin, S. R. , & Oppedal, B. (2016). The longitudinal relation between daily hassles and depressive symptoms among unaccompanied Refugees in Norway. Journal of Abnormal Child Psychology, 1-15. 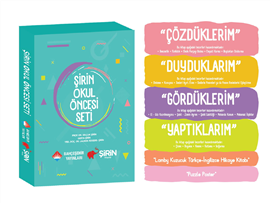 Tepe, B., Piyale, Z. E., Sirin, S. R., & Sirin, L. R. (2016). Moral decision-making among young muslim adults on harmless taboo violations: The effects of gender, religiosity, and political affiliation. Personality and Individual Differences, 101, 243-248. Keles, S., Friborg, O., Idsøe, T., Sirin, S. R., & Oppedal, B. (2016). Depression among unaccompanied minor refugees: The relative contribution of general and acculturation-specific daily hassles. Ethnicity & Health, 21(3), 300-317. Sirin, S. R., Rogers-Sirin, L., Cressen*, J., Gupta*, T., Ahmed*, S., & Novoa*, A. (2015). Discrimination related stress effects on the development of internalizing symptoms among Latino adolescents. Child Development, 86(3), 709-725. Sirin, Ç., Hacıfazlioğlu, Ö., & Sirin, S. R. (2014). Immigration and academic achievement: The effects of socio cultural and demographic factors. Cypriot Journal of Educational Sciences. 9(1), 57-65. Sirin, S. R., Katsiaficas*, D., & Volpe**, V. V. (2010). Identity mapping: Methodological implications for studying hyphenated selves. International Society for the Study of Behavioral Development Bulletin, 2(58), 22-25. Fine, M., & Sirin, S. R. (2007). 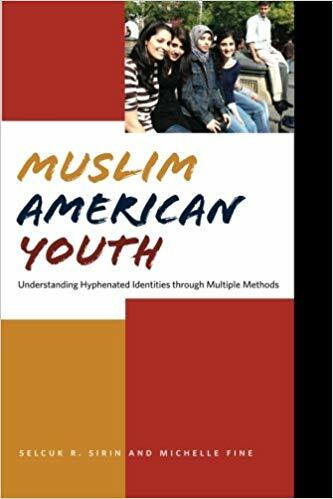 Theorizing hyphenated lives: Researching marginalized youth in times of historical and political conflict. Social and Personality Psychology Compass, 1(1), 16-38. Balsano, A., & Sirin, S. R. (2007). Comments [Special issue]. Muslim youth in the West: “Collateral damage” we cannot afford to disregard. Applied Developmental Science, 11(3), 178-183. Kenny, M., & Sirin, S. R. (2006). Parental attachment, self-worth, and depressive symptoms among emerging adults. Journal of Counseling and Development, 84(1), 61-71. Sirin, S. R., & Rogers-Sirin, L. (2005). Components of school engagement among African American adolescents. Applied Developmental Science, 9(1), 5-13. Sirin, S. R., & Rogers-Sirin, L. (2004). Exploring school engagement of middle-class African American adolescents. Youth & Society, 35(3), 293-340. Sirin, S. R., McCreary, D. R., & Mahalik, J. (2004). Differential reactions to men’s and women’s gender role transgressions: Perceptions of social status, sexual orientation, and value dissimilarity. Journal of Men’s Studies, 12(2), 119-132. Rogers-Sirin, L., Sirin, S. R., & Gupta, T. (2016). Discrimination-related stress and behavioral engagement: Moderating effect of school relationships. In Besen-Cassino, Y. (Ed.). Sociological Studies of Children and Youth, Volume 20, (pp. 3 – 29). Bingley, UK: Emerald. Sin, E., & Sirin, S.R. (2016). A Review: New desires, new selves. Gender & Society, 31(2). 266-285. Sirin, S. R., & Fine, M. (2014). Negotiating the Muslim Hyphen. In J. J. Gieseking, W. Mangold, & C. Katz (Eds. ), The people, place and space reader (pp. 366-372). New York, NY: Routledge. Sirin, S. R., & Gupta*, T. (2012). Muslim, American, and immigrant: Integration despite challenges. In A. M. Masten, K. Liebkind, & D. Hernandez (Eds. ), Realizing the potential of immigrant youth (pp. 253-278). Washington, D.C.: APA Books. Sirin, S. R., & Rogers-Sirin, L. (2006). Quick version of the Racial Ethical Sensitivity Test (Quick-REST). New York, NY: New York University. Sirin, S. R. (2001). Child rearing styles. In R. M. Lerner & J. Lerner. (Eds. ), Adolescence in America: An encyclopedia (Vol. 1). Santa Barbara, CA: ABC-CLIO. Sirin, S. R. (2001). School dropout. In R. M. Lerner & J. Lerner. (Eds. ), Adolescence in America: An encyclopedia (Vol. 2). Santa Barbara, CA: ABC-CLIO. Ahmed*, S. F., Gupta, T., & Sirin, S. R. (2013, April). The protective influence of community support for immigrant youth’s school engagement. Poster presented at the biennial conference of the Society for Research on Child Development (SRCD), Seattle, WA. Gupta*, T., Sirin, S. R., Rogers-Sirin, L., Ahmed*, S. F., Palmeri, J., & Duca*, K. (2013, March). Gender and generation status variations in the role of bicultural identification on cognitive engagement. Paper presented at the biennial conference of the Society for Research on Child Development (SRCD), Seattle, WA. Cressen*, J., Rogers-Sirin, L., Sirin, S. R., Gupta*, T., Greene*, A. C., & Novoa*, A. (2013, March). Discrimination-related stress and behavioral engagement: The moderating effect of school relationships. Paper presented at the biennial conference of the Society for Research on Child Development (SRCD), Seattle, WA. Rogers-Sirin, L., Cressen*, J., Gupta*, T., Ahmed*, S. F., Novoa, A. D., Sirin, S. R., & Ruiz, M. (2013, April). Discrimination-related stress and psychological well-being outcomes among Latino adolescents. Paper presented at the biennial conference of the Society for Research on Child Development (SRCD), Seattle, WA. Sirin, S. R., Katsiaficas*, D., & Mir, M. (2007, August). 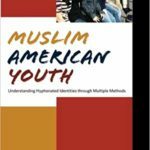 Negotiating Muslim and American identities: An exploratory study. Poster presented at the annual convention of the American Psychological Association (APA), San Francisco, CA. Brabeck, M., Warner, C., Rogers. L., Handerson, J., Costa, M., & Sirin, S. (1999, April). Increasing the aspiring professional’s ethical sensitivity to instances of racial and gender intolerance in school. Paper presented at the annual meeting of the American Educational Research Association (AERA), Montreal, Canada. 2017 Invited Talk. Refugee Children in Crisis: What can we do about it? The Inaugural Haruv-USA Summit on Child Maltreatment. University of Tulsa. Tulsa, Oklahoma. 2017 Invited Talk. Refugee Children Need Hope! Yale-UNICEF Conference on Refugee Children. Yale University, Yale, Connecticut. 2017 Keynote Speaker. Urgent Needs of Syrian Refugee Children: Beyond Food and Shelter. UNIS-UN Student Conference. United Nations General Assembly. New York, New York. 2016 Keynote Speaker. Syrian Children in Crisis What US pediatricians need to know? American Association of Pediatricians National Conference, San Francisco, California. 2016 Invited Talk. On the Border: Syrian Refugees in Turkey. NYU at DC, Washington, DC. 2016 J. K. Javits Lecture. Syrian Refugee Children: Food and Shelter is Not the Answer. New York University. 2016 Invited Talk. Syrian refugees: The past, Present and Future. National Press Club, Global Policy Institute, Washington, D. C.
2015 Keynote Speaker. 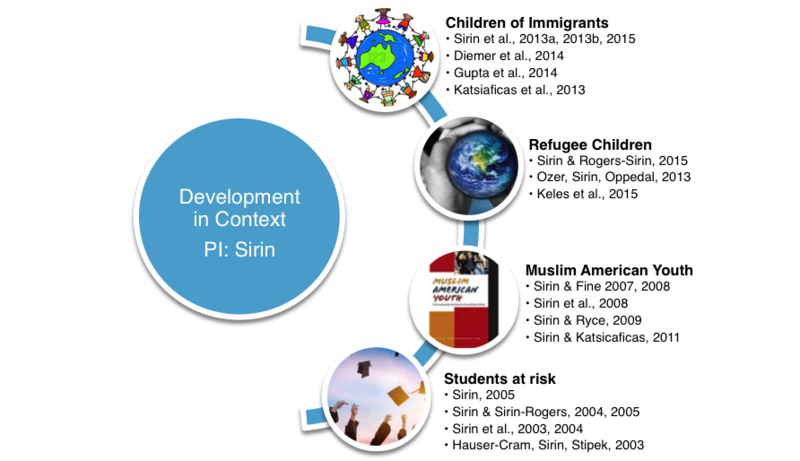 Education and Economic Development: Turkey and the Rest of the World. International Monetary Fund (IMF), Washington, D. C.
2017-2018 Principal Investigator, Turkish Youth Fellowship Project. Chobani Foundation, New York, NY. 2012-2015 Co-Principal Investigator (with Dr. Brit Oppedal), A longitudinal, mixed-method study of socio-cultural adaptation and mental health among unaccompanied minor refugees after resettlement. Funded by Norwegian Institute of Public Health, Norway.